The modern world is all about marketing. Starting from tiny one-person businesses, from highly paid successful actors to amateur performers, everyone has embraced marketing as the chief mode of letting the world know about their presence. To be precise, marketing is nothing new. It has been there ever since businesses had come into existence. 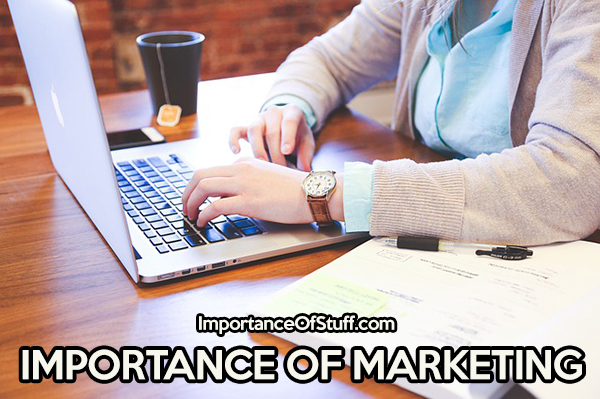 Marketing forms an integral part of running a business, which explains why organizations spent a huge amount of their capital in promoting their products and services via different forms of marketing. In this article, let us see why marketing holds such a place of importance in all kinds of organizations. To begin with, the most important function of marketing is advertisement. All advertisement, be it print, television, or virtual, is an integral part of marketing. Through marketing, the organization lets the world know of the products and services it provides. In fact, it doesn’t only lay down the basic specifications of what it is offering; marketing also paints a very impressive picture of the organization for the potential customer. Through marketing, the organization lets the world become aware of everything new and important that is being or going to be put out there for the world to see. A marketing campaign can make or break the image of an organization. Since this is the only mode through which an organization can reach out to its potential customer base, it is important that the marketing be just right. A single campaign that is insensitive to a particular race or religion, or to any section of the community holds the potential for alienating a huge customer base. On the other hand, a prudently pitched marketing campaign can garner a huge following for the organization, potentially earning it more customers than it had prior to launching the campaign. For instance, if an organization associates itself with considerable social services or public interest initiatives, marketing campaigns advertising these activities are likely to generate a lot of interest in the products and services provides by the organization, which will in turn translate into revenues. That, of course, is the be all and end all of all marketing activities. When an organization launches a marketing campaign, the final goal is always revenue generation. The aim of all marketing campaigns is threefold: generating interest about the organization and its offerings, reaching out to new customers, and persuading customers to try out what the company has to offer. By letting new potential customers know what products ad services the company has o offer, and reminding existing customers of the benefits they receive the continuing to use the products and services offered by the company, marketing campaigns help to hold on to and increase the revenue generated by the company. The idea is very simple: the better and more effective the marketing techniques, the more scope the company has of reaching out to its target market, and in turn enjoy increased revenues. From a different perspective, marketing is a great boon for the economy. This is mainly because it has created a host of new jobs for the populace to engage itself with. The marketing department of any given organization has people from various disciplines working together. There are core marketing people who devise methods of marketing. There are digital marketing people who think of and conduct the marketing procedure on a digital platform, like the social media websites. There are the highly creative people who pen scripts for advertisements that will be aired on television and movie theaters. There are other creative writers and bloggers who produce copies for the products and services, fashion interesting tidbits to post on social media, and write original ad resourceful articles that would keep the company website at the top of search engine result pages. Today, the scope of marketing has widened to gargantuan proportions. Gone are the days when just telling customers about new and existing products would do the job. Today, it is important for organizations to stay in touch with their customers at all times. Placing strategic advertisements on television, radio, and the print media is no longer enough. Now the organization has to communicate with its customers directly through social media by inviting feedback and addressing queries. Simple product pitching is no longer viewed in a kind manner, and the organization must associate itself with activities that go beyond its place as a business institution. While the increased scope of marketing has opened up new vistas to the company of announcing itself to its target mallet, it has also made the job of creating a positive impact a lot tougher than it ever was.